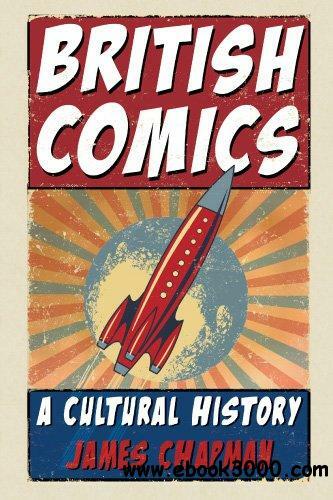 In this entertaining cultural history of British comic papers and magazines, James Chapman shows how comics were transformed in the early twentieth century from adult amusement to imaginative reading matter for children. Beginning with the first British comic, Ally Sloper-known as "A Selection, Side-splitting, Sentimental, and Serious, for the Benefit of Old Boys, Young Boys, Odd Boys generally, and even Girls"-British Comics goes on to describe the heyday of comics in the 1950s and '60s, when titles such as School Friend and Eagle sold a million copies a week. Chapman also analyzes the major genres, including schoolgirl fantasies and sports and war stories for boys; the development of a new breed of violent comics in the 1970s, including the controversial Action and 2000AD; and the attempt by American publisher, Marvel, to launch a new hero for the British market in the form of Captain Britain. Considering the work of important contemporary comic writers such as Alan Moore, Grant Morrison, Ian Edginton, Warren Ellis, and Garth Ennis, Chapman's history comes right up to the present and takes in adult-oriented comics such as Warrior, Crisis, Deadline,and Revolver, and alternative comics such as Viz. Through a look at the changing structure of the comic publishing industry and how comic publishers, writers, and artists have responded to the tastes of their consumers, Chapman ultimately argues that British comics are distinctive and different from American, French, and Japanese comics. An invaluable reference for all comic collectors and fans in Britain and beyond, British Comics showcases the major role comics have played in the imaginative lives of readers young and old.